You know when you hold off on making a tech purchase because you're worried that if you jump too quickly you'll regret it? Then after years of waiting you make that purchase only to hear of something better, faster, cheaper imediately afterwards but you happily discover it's not quite what you where looking for in the first place? Happens to me all the time. Here's the latest example. After years of wanting a media extender for the living room (and wanting to remove the sneaknet of DVDs) I sprang for a XBOX 360 (at an amazing price I might add) for just this task. Unfortunately being back ordered it has not arrived yet. A couple of days later I'm listening to Window's Weekly # 84. 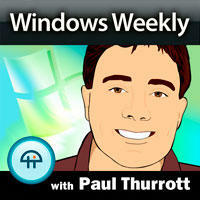 Host Paul Thurrott mentions his pick for a cheap media device to watch video in the living room. Of course I say the XBOX 360… nope it's the WD TV HD Media Player!?! I was a little bumbed until I discovered that the WD TV HD Media Player doesn't steam and you still have to sneakernet stuff on USB harddrives or keys. Still it's a cool product just not what I'm looking for. I've spent a good part of the night watching Leo Laporte on his 24 hours of iPhone coverage. So I got iTunes 7.7 to get into the App Store and as you can see I've already downloaded some apps. Unfortunately they still haven't pushed the 2.0 firmware so hopefully it will be out when I wake up in a few hours. With WWDC set to explode twitter later today, it looks like they are talking some preventative steps to keep the tweets flowing. Of course I still got the following error message from Twitter. 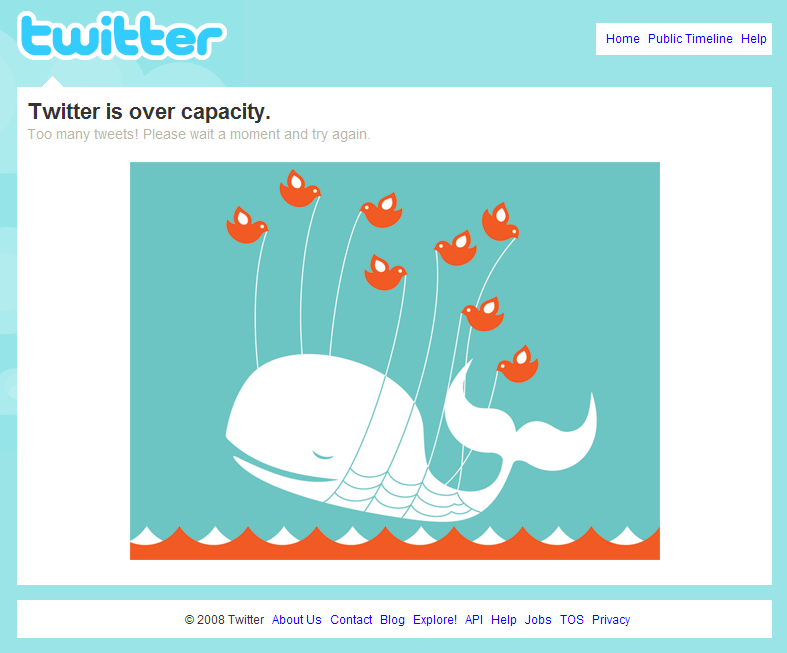 If might have been due to everyone trying to get in one last tweet before WWDC takes twitter down. Have you ever thought that your life could use some more excitement? Sure, we all do once in a while and that's a natural. But most of us don't go to the extremes of Roz Savage. In her mid 30's she quite her job and gave up the quite suburban life to solo row the Atlantic in 2006. 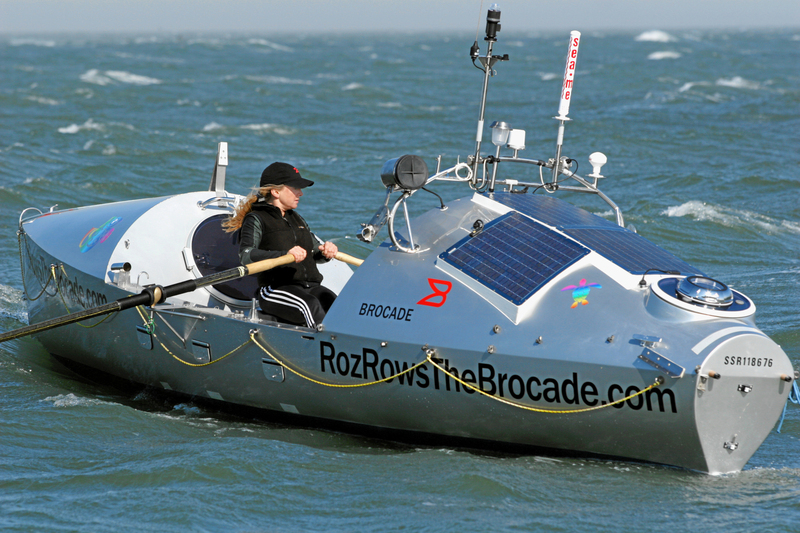 After an aborted attempt last year Roz is currently off the west of coast of the United States rowing to Australia. If this attempt is successful she'll be the first woman to row the Pacific ocean. Roz has daily updates on her blog and you can follow her on twitter (unfortunately they are having some difficulties right now with her twittering from the satellite phone). You can even follow Roz's progress from her GPS. There will even be a podcast (in the near future) from the TWIT network. Chief Twit Leo Laporte said on a recent show that the podcast hasn't launched yet due to the last minute departure of Roz to take advantage of favorable weather conditions. Also check out Roz's Smug Mug photos. It just blows my mind. Alone for months in the middle of the ocean. Wow! 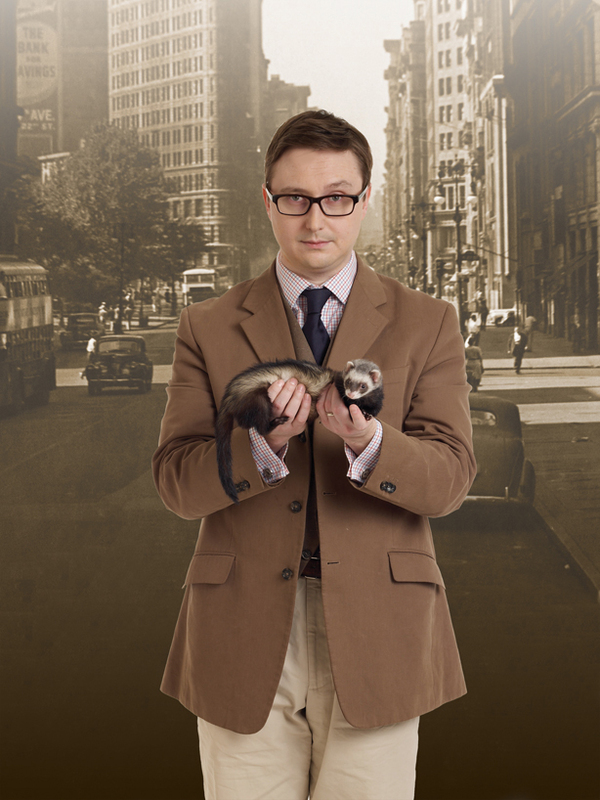 UPDATE: The TWIT podcast Roz Rows is now live. Here's two videos I watched tonight. One fun, one educational. Can you guess which one is which? 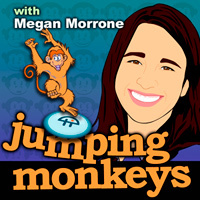 Jumping Monkeys had Ashley Merryman on episode 21. She's written an article on sleep and talked with Megan and Leo how sleep can impact you mentally and physically. Really interesting stuff. I've discovered that I really need to sleep more, consistently go to bed at the same time, and that you can never make up sleep. 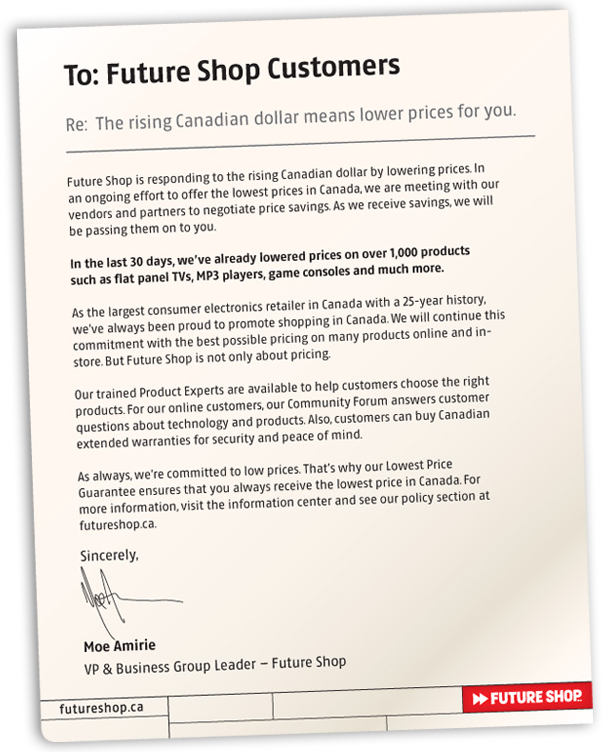 Future Shop is lowering prices to reflect the strong Canadian loonie. I guess I should have waited before complaining about the difference in prices. Oh well. It's nice not having to do price conversions in my head on the fly when I'm listing to Twit talk about a new tech product. Listing to the TWIT network recently I've heard Leo asking the question, who would want an iPod Classic when they could get the iPod Touch (releases October 1st here in Canada). 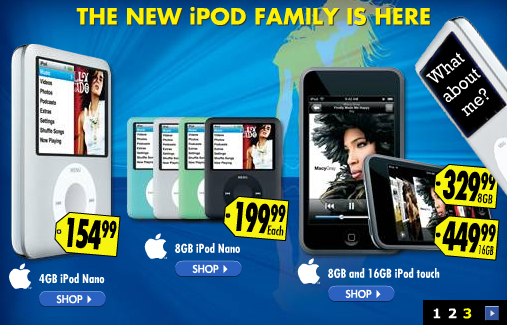 Looks like Best Buy doesn't know either and isn't advertising it on there main page. Though it's still $20 off. Are they alredy starting to down play the classic form factor? 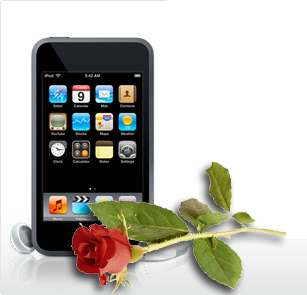 Maybe they are just gearing up for the HHD based iTouch that will eventually come out. Oh you know it's coming.